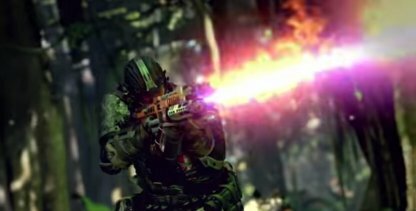 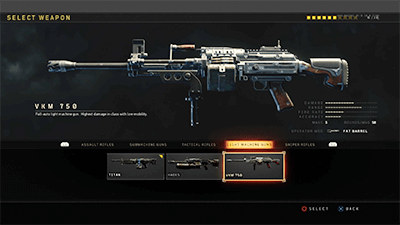 Find out about damage, effective range, magazine size, traits and tips of the Light Machinegun weapons in COD BO4! 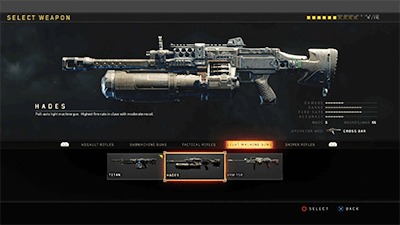 This gives you the ability to dish out a lot of damage in a short amount of time without needing to constantly reload. 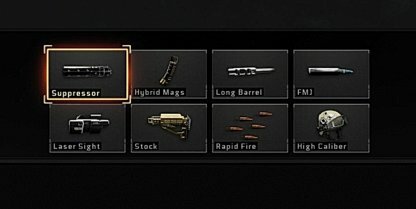 Recoil makes aiming tricky especially when firing at targets that are far away. 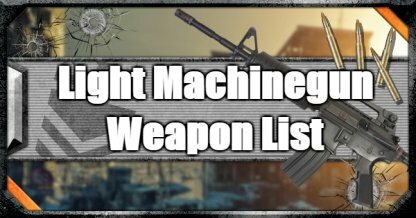 Players will think twice about engaging you as you can easily out damage them with the light machinegun. 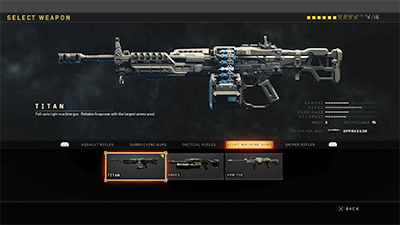 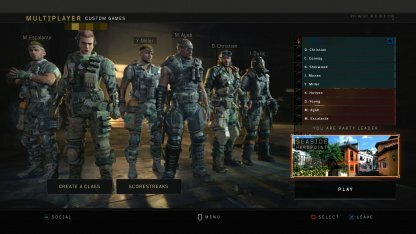 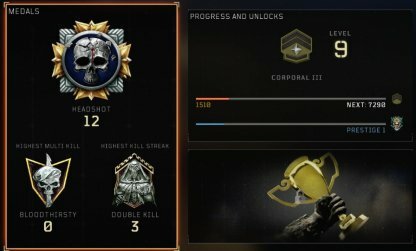 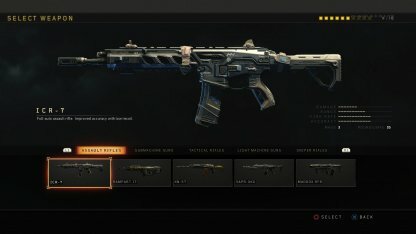 Attachments will help compensate for disadvantages of using an LMG. 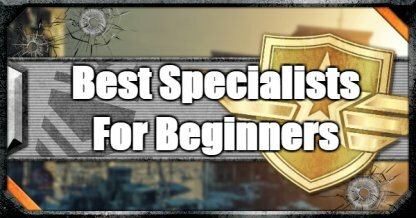 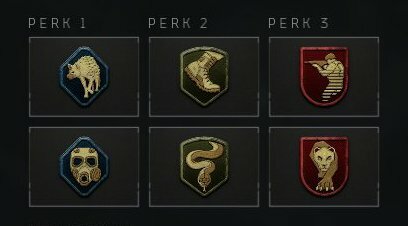 Experiment with various attachments to find which ones work well with your play style.